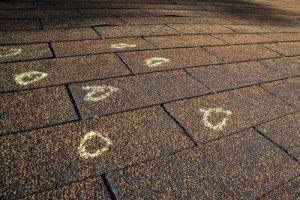 Whether you’re replacing or simply repairing your roof, choosing the right contractor is sometimes confusing and frustrating. How do you know who is telling you the truth, and who is just trying to make a sale? We at E3 Roofing and Remodeling believe that telling the truth and doing what is right for the customer is the only way to do business. This is why nearly 100 percent of our customers are word-of-mouth referrals and why we strive to treat our customers right every single time. E3 Roofing and Remodeling provides a variety roofing services. 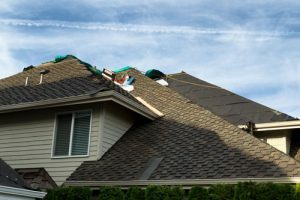 We provide insurance roofing (in which an insurance claim is involved) and retail roofing (roofing jobs and reconstruction work not involving an insurance company). Regardless of whether your situation is insurance related or out of pocket, we require a formal written contract to set forth clear expectations and pricing. The crew will install your roof using ice and water shields in all valleys and against all walls. We use six nails per shingle instead of industry standard four. An E3 representative will perform a quality assurance check and remove any leftover material. Our standard workmanship warranty is two (2) years from the date of installation. All material is independently backed by the manufacturer, our preferred source being TAMKO Building Products. As a TAMKO Pro Certified Contractor, we can offer a full thirty (30) year nonprorated labor and material guarantee on the TAMKO Heritage® Woodgate products.